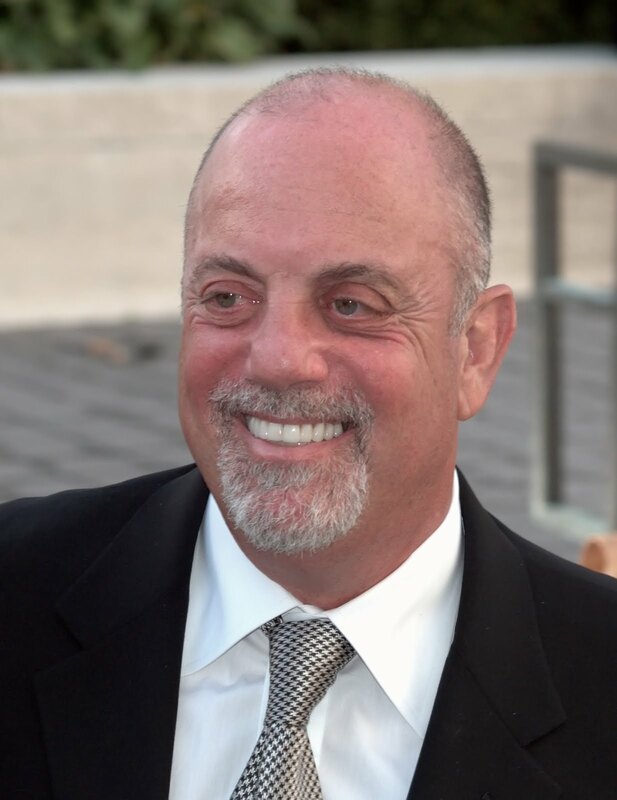 The first-ever academic conference dedicated to the music and lyrics of Billy Joel takes place this fall at Colorado College. But this is not simply a gathering for scholars and/or enthusiasts. Rather, the conference has been conceived as a “public musicology” event—graciously co-sponsored by the American Musicological Society—from its initial planning stages. It is an opportunity to put on display our collective ability to talk about music familiar to non-academic audiences in ways that are accessible, insightful, engaging, and entertaining. With one month remaining to our April 8th Call For Papers deadline, I wanted to take this opportunity—on behalf of my co-organizer Joshua S. Duchan (Wayne State University) and the members of our esteemed program committee, Eric Hung (Rider University), Katherine Meizel (Bowling Green State University), and Albin Zak (University of Albany)—to address a few common questions about the conference. With any luck, what follows will encourage participation from those that might otherwise hesitate to submit a proposal. A: First, why not? Joel’s dynamic career spans nearly five decades and he is the third highest-selling solo musician in the United States. A majority of his more than thirty studio, live, or compilation albums have been certified multi-platinum. He currently plays a once-a-month, sold-out gig at Madison Square Garden. Despite such popularity, however, Joel’s music and live performance has been accompanied by a somewhat uneasy relationship with critics, while scholarship on his extensive output remains scant—a gap that needs to be filled. Second, given our desire to stage a “public musicology” conference, Joel’s music provides an ideal vehicle to explore the musicological issues and topics that matter to us most in front of a non-academic audience. The popularity of his music will draw attendees who might not otherwise feel inclined to attend a musicologically oriented conference. Additionally, those in attendance will likely be well-versed in the music being discussed. This familiarity provides a common point of departure that might not exist for more obscure musical subjects (not that us musicologists would ever deal in obscurity). Q: I’m not a popular music scholar. Can I still submit a paper? A: Of course. One of the goals of the conference is to allow people who would not normally have an opportunity/excuse to work in such directions to do so. However, presenters should not feel bound to the methodologies and approaches utilized by popular music studies. Scholars from a wide variety of fields are encouraged to submit a proposal, including musicology, ethnomusicology, music theory, history, comparative literature, sociology, and other related fields. Non-scholars may also submit proposals and will be considered alongside those from academics. Papers need not be music-analytical in nature. For example, Joel’s music translates larger cultural concerns into accessible and compelling narratives: he gives voice to the concerns of working-class America (“Allentown” and “Uptown Girl”), humanizes political conflict (“Goodnight Saigon” and “Leningrad”) and offers a soundtrack to his home state and town (“New York State of Mind” and “Scenes From An Italian Restaurant”). This conference provides the opportunity to assess and reassess such narratives as part of larger considerations of American society and culture over the course of the past several decades. Q: Who will be in attendance? A: The conference is open to anyone who wishes to attend. Our best guess is that the audience will be a combination of intellectually curious faculty, students, and staff from Colorado College; members of the greater Colorado Springs and Front Range community; and scholars and fans from across the United States and beyond. Colorado Springs has a population of more than 400,000 and Denver is right up the road—so there is plenty of potential for this event to attract a significant number of attendees. Who knows, Billy Joel himself might even show up! Q: Do I have to present a paper or are alternate formats acceptable? A: Basically, the sky is the limit. Embracing the liberal-arts learning environment of Colorado College, we remain open to a variety of presentation styles and formats. Our CFP makes mention of formats beyond the traditional conference paper, including posters, exhibits, installations, or video. We would also welcome proposals incorporating performance. We request that all abstract submissions consist of (a) a statement of the aims, methods, and conclusions of the research while also specifying: (b) the broader academic considerations or implications of the research and (c) how the presenter plans to make their work publicly accessible within their respective format. Q: What else is going to happen besides these public musicology presentations? A: We anticipate larger-scale events on Friday and Saturday evenings. Currently we are exploring the possibility of screening of a documentary film on Joel’s 1987 tour of the Soviet Union with a talkback session with film scholars and/or the director. We are working to assemble a concert of Joel’s solo-piano music as well as additional instrumental compositions and arrangements. The Rock and Roll Hall of Fame and Museum, and a few other interested parties have expressed interest in contributing to an exhibition of Billy Joel materials and memorabilia that would be on display during the conference. Personally, I would enjoy including at least one “Critical Karaoke” session. Other suggestions are more than welcome! Q: That sounds like fun, but I don’t have time to take on a new research project right now. Q: All of this information is helpful, but I’m still struggling to come up with an idea. Can you share a few with me? Q: How can I be in touch with the conference organizers and/or get more information? We look forward to reading your submission and seeing you at the conference this fall!